Oh, were you European-types thinking that your base-model Fiat Punto was a fine Italian thoroughbred worthy of parking alongside Ferraris, Lamborghinis and other upscale marques made on European’s fancy-boot? Live it up now, because that’s all about to change. The CEO is preparing to unveil on June 1 a sweeping transformation of production in Italy that will see the company abandon the manufacture of the budget Punto and Mito cars in favor of upscale models, according to people familiar with the plan. A historic plant in Turin and another near Naples will be retooled to produce new Maserati and Jeep SUVs, while Panda output will be moved to Poland, said the people, who asked not to be named because the project isn’t public. The company’s historic plants in Italy proper will pivot towards pumping out Alfa Romeos, Jeeps and Maseratis, while the budget-oriented Panda will be moved to Poland. The Punto and Mito models will be dropped in the move, which is also influenced by the need to drop diesel cars in favor of hybrids and electrics. 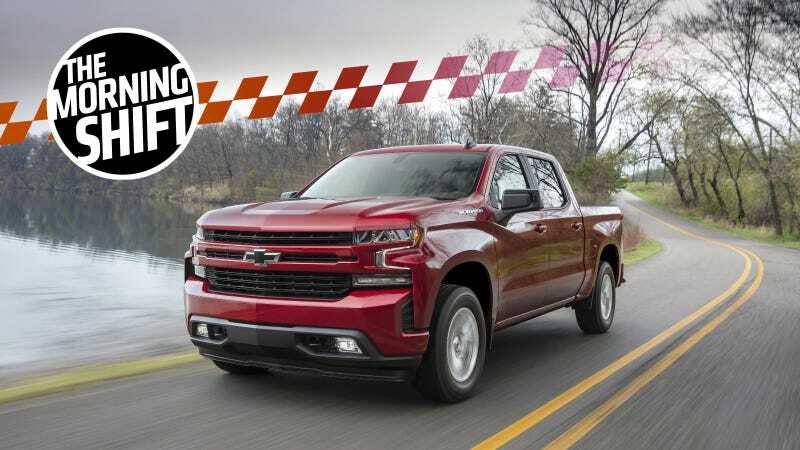 This move follows a similar one undertaken by FCA in America, wherein they dropped their smaller Chrysler 200 and Dodge Dart sedans in favor of building more Jeep and Ram trucks in those factories’ space. FCA CEO Sergio Marchionne has said time and time again that the people want more Jeeps, and he’s going to give us just that—even in Europe. Nissan’s top managers believe they have the better engineering capabilities and want to lead crucial operations such as product development, said the people, who asked not to be identified because the deliberations are private. Chief Executive Officer Hiroto Saikawa said as recently as this week that he wants Nissan to maintain some autonomy while still reaping the benefits of working with Renault. Right now, the alliance is pretty lopsided. Renault isn’t as profitable or valuable, but owns about 43 percent of Nissan and can vote on Nissan’s corporate business. If merger terms can’t be agreed upon, Nissan could choose to boost its 15 percent stake in Renault to get voting rights on Renault’s matters, too. From Renault management’s point of view, the company invested in Nissan in 1999 and saved it from failure. The French company sells fewer vehicles worldwide and earns less, but at higher profit margins. Let’s just hope this goes much better than the last time there was a “merger of equals” (which really wasn’t). The summit, planned for May 23, will be the first in-person meeting between the top officials of the three agencies that together set the fuel efficiency requirements of new cars and light trucks. Representatives of the agencies weren’t immediately available to comment. Nichols, in an interview on sidelines of a symposium for the 50th anniversary of Air Resources Board, said she plans to meet separately with auto industry trade associations while in Washington. The situation is one we’re all too familiar with now: the feds want to relax emissions standards, while California wants to protect its ability to set its own stricter standards (and maybe not breathe in so much smog!). We’ll see how it goes! Audi, Porsche, Skoda and Seat are all set to attend the Paris Auto Show—but their corporate overlord’s namesake brand won’t, reports Reuters. This isn’t the first time a VW brand has skipped a major auto show, either. Volkswagen and Audi both scaled back their auto show presences this year in Frankfurt and Detroit, and Audi plans to skip the 2019 Detroit auto show entirely. Neutral: Do Auto Shows Even Matter Anymore? Getting to see, touch, smell and maybe lick new cars (if they’re not looking, that is—err, on second thought, let’s not recommend this) is always fun, but is there a still a place for auto shows in today’s connected world? When press releases and new product photos can be emailed whenever and fewer automakers decide to show up, this question gets tough.